Brian Kescenovitz (mondayn00dle) is one of the few builders who usually doesn’t put much color into their models, sometimes conveying the iron/steel utility. 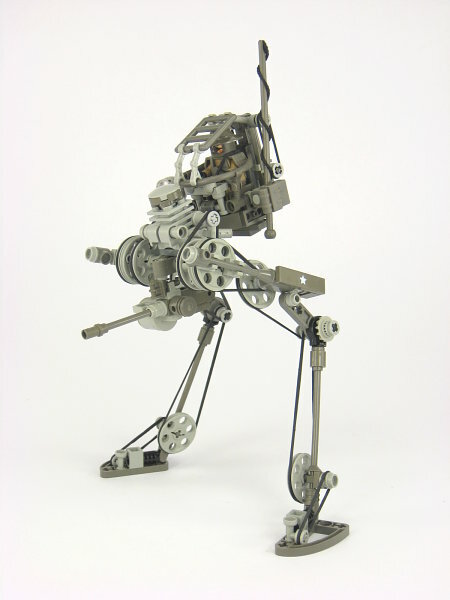 Unlike his bulkier mechs, Brian’s latest work is a spindly scout walker called the Sandpiper, constructed with focus to fine detailing mechanisms rather than heavy armor. That is incredibly awesome. Well played, Brian, well played. This is a beautiful model. Well done!